A few years later Skerton Methodist Church (opened 1858) also became part of the amalgamation. The Church has 2 premises – the former Greaves building on Scotforth Rd and The Cornerstone, the former Wesley church building in Dalton Square. 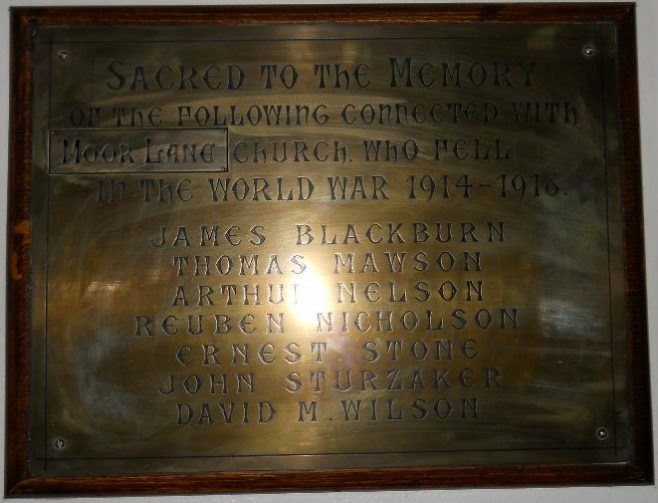 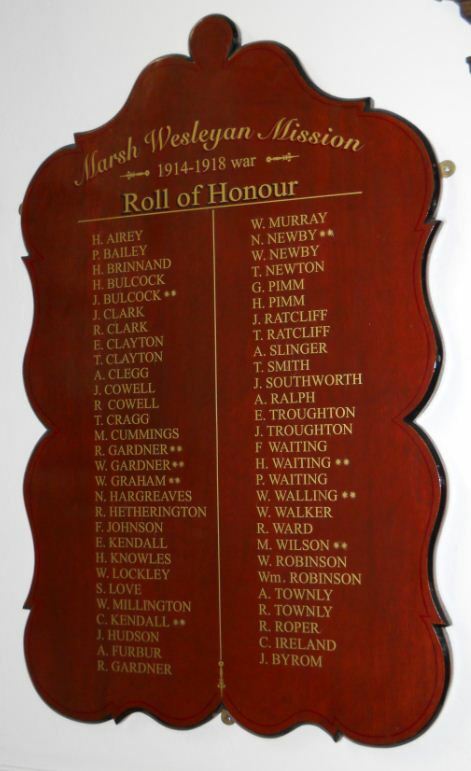 Memorials from all 4 churches plus that from a previously closed church – Moor Lane, are displayed together in one of the corners of the main church premises in Scotforth Road, Lancaster. 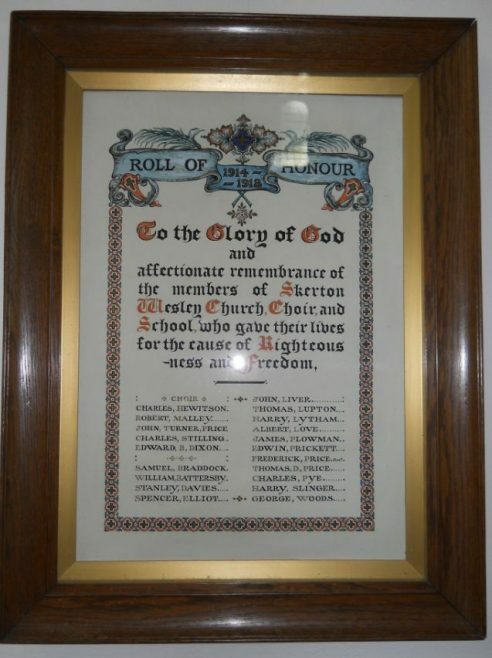 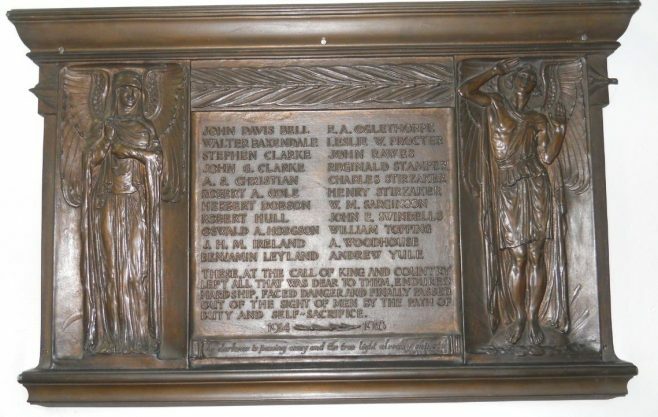 To the Glory of God and affectionate remembrance of the members of Skerton Wesley Church, Choir and School, who gave their lives for the cause of righteousness and freedom. Moor Lane was the Primitive Methodist chapel in Lancaster.